The PSP2 might feature the ability for users to download online content even if a Wi-Fi hotspot isn't nearby. Japanese newspaper Nikkei claims to have knowledge of some new details on Sony's possibly soon to be announced PSP2. 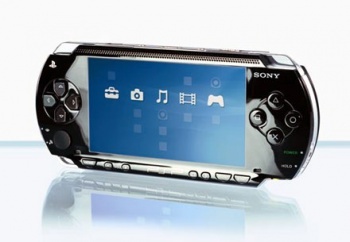 According to Nikkei, the PSP2 could be the gaming industry's first 3G handheld. Nikkei says that 3G support will be provided by NTT DoCoMo in Japan, though it doesn't mention what organization might handle the service in other regions. Similar to cellphones, providing 3G support will allow users to download content directly to their PSP2 systems without having to be in range of a Wi-Fi hotspot. This would presumably also include the ability to play games online without Wi-Fi. The only important factor that isn't mentioned is if this 3G service will come with a monthly cost or not. The PSP and PSPgo can both download content from the internet, but only through a Wi-Fi hotspot. If Nikkei's report is true, it makes sense in tandem with other rumors that say Sony is again skipping the inclusion of any physical media drive for the PSP2. For a physical media-free device to truly hit its stride, users have to be able to download content anywhere, anytime. Nikkei also mentions another interesting factor of the PSP2: an OLED (organic light-emitting diode) screen. OLED technology is still relatively new, but known for being able to be placed on flexible screens that don't require a backlight. Further, the paper says that Sony has developed a new type of internal processor to output HD visuals. These are just another few facts to add to the rumor mill, but could be somewhat more reliable coming from a major business newspaper. Sony is expected to officially reveal the PSP2 at a press conference on January 27, and the handheld is expected to be released by the end of 2011.